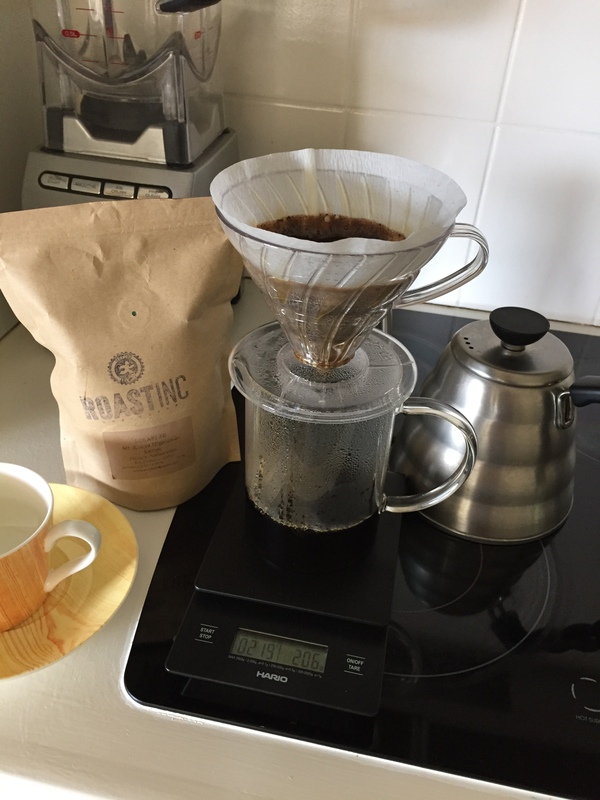 Although I previously linked to this global coffee exchange initiative in one of my recent Wiser Web Wednesday posts, as I near the end of the bag of superb Kenya Sukari AB coffee I received from Germany, I thought it worth adding a little more to the story, and how to me, it illustrates a degree of change in how we are now able to interact with those across the other side of the world. I first came across the concept only this year, through an Instagram post of a barista friend of mine who was planning on participating in Third Wave Wichteln. To recap briefly, you sign up to the programme, send a bag of specialty filter coffee to your randomly assigned receiver, and in turn, you will also receive the same, from a randomly assigned giver (Wichteln being the German word for Secret Santa). After signing up, and selecting International as the destination category I was willing to send to1, it was simply a waiting game until the email popped into my inbox in early December with the recipient’s name and address. Germany it was. 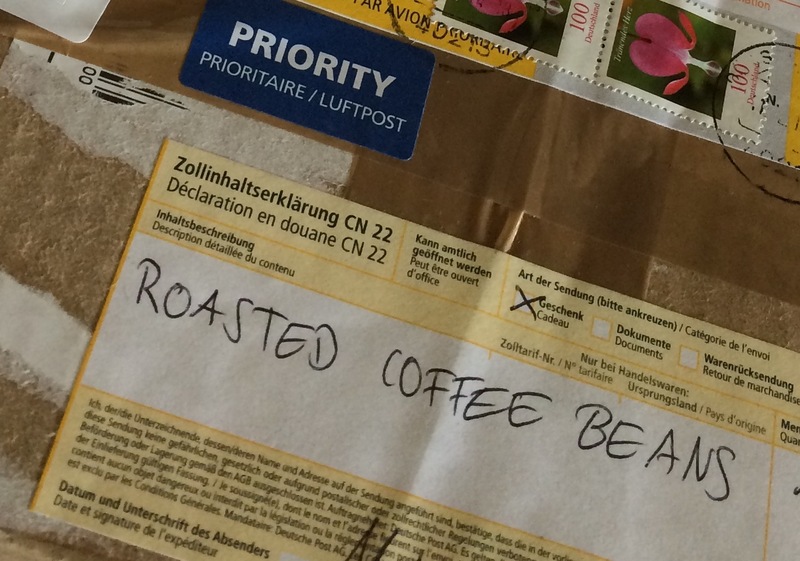 So after selecting a suitable filter coffee from a local speciality roaster with the most recent roast date I could find, it was off to the post office. Customs declaration filled out, postage paid (a very reasonable $AU18.00 for 3-10 day delivery; closer to 10 if not beyond I’d imagine) and Godspeed I bid the package as it commenced its journey. 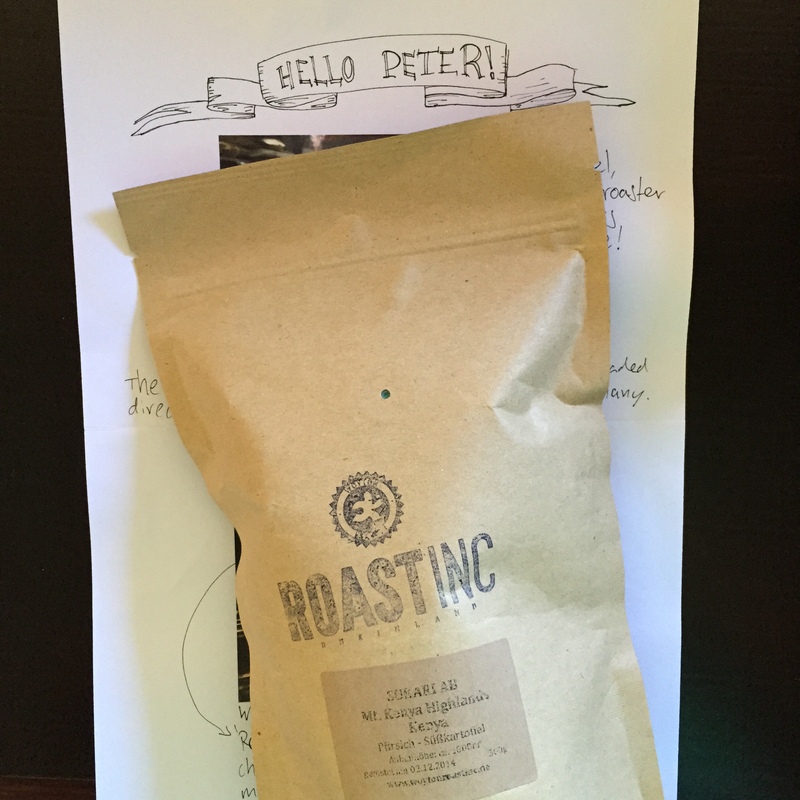 Not long after, I received my own Christmas surprise, which originated from Germany, with a great letter from the sender inside, providing some background, tasting notes and photos, (including the roaster himself) — a pleasant surprise indeed. Whether or not you agree with my thoughts below, this is just a fantastic way to try some different coffee, is easy to do, and adds to the spirit of Christmas – I loved it, and encourage you to check out the site for details come November next year. Don’t worry – I’ll remind you. Probably the main thing which struck me about this initiative is the extent to which those with common interests can so easily now interact — irrespective of global location (yes, not new to 2014/15, but new to the last decade at least). The internet brings with it many things, both positive and negative, however it cannot be denied it brings opportunities of this nature not before seen. If not in idea, then certainly in scale, ease and degree of interaction between those participating. Third Wave Wichteln and all it brings can be followed on Tumblr, or through the thirdwavewichteln hashtag on both Twitter and Instagram, with the Instagram tag now boasting 963 posts at the time of writing. It can be argued if we are talking “community”, then a global internet based one, despite the physical giving and receiving of this particular initiative, may be wide though not necessarily deep. True, however is it not an example of the very nature of real-life human social networks — that is, a small number of very deep social connections, and as the radius of the network increases, the connections tend to run less deep. In times of the Internet and global connection we don’t have a bowl or hat where we put our names in — we do the Wichteln digitally. Therefore we created this page. And then we bring it back to the analog world: the exchange. So, I’d like to think that each year, the tweets, Instagram posts and emails will go out again, more people will sign up, and the global coffee gift exchange will continue, with even more great coffee flying across the globe, and more worldwide touch points for but one of the many communities the internet has helped foster and expand. Here is the link again for your calendar or task manager.